From Convert to First Presidency in 5 years! We’re continuing our discussion with Jim Vun Cannon, (see part 1 here) a counselor in the First Presidency of the Remnant Church of Jesus Christ of Latter Day Saints. In this episode, we’ll talk about how he turned from Convert to First Presidency in just 5 years! He became disillusioned with RLDS Church following the 1984 revelation giving women the priesthood. How did he feel following this revelation? Jim: [I] tried to sift through the ashes of what felt like a burned down church. I graduated high school in ‘83, so in ’84 it was like, what just happened? Because I was right there in Independence so it was kind of a civil war with spiritual bloodshed on both sides. It was just very unfortunate, because there obviously were a lot of strong feelings on both sides. It sounds quite damaging spiritually. I asked Jim when he first came to the Remnant Church. GT: You know as we look at the early church with Joseph Smith, a lot of times he did take brand new converts and put them right in the First Presidency, so that’s pretty interesting. So literally from five years to counselor in the First Presidency—that’s quite an amazing feat! Can you imagine what that must have been like? We also talk about priesthood and youth programs. Check out the conversation! Found! A Literal Descendant of Aaron! Jim: I would say where we started out was we left the C[ommunity] of C[hrist, which] was called the Reorganized Church of Jesus Christ of Latter Day Saints. Of course I think you all know where that came from. We left that in 84. There were a number of people who went out to Restoration branches. At that point, people were looking up, can the church—because everyone believed that the church had to have structure and order to it. In 1999, a number of people started meeting together. They were high priests and gathering other priesthood together to pray and to fast and to see what could be done. What did the law actually allow? It turns out we found in some of the writings of Joseph Smith III, and some personal testimony and revelation that came forth, we could indeed have a church restored again, so that’s what happened at that point. Jim Vun Cannon: Our Presiding Bishop actually is a literal descendant of Aaron. GT: Ok. Wow, that’s interesting. Jim: So yeah, that was new for us. GT: Oh. I would assume that he got that through the patriarch. Is that how you declare lineage? GT interrupts: Oh that he was a literal descendant? Jim: literal descendant, yeah right. GT: Ok, so the interesting thing, that doesn’t happen very often in our church. In fact I’m not aware of any. Jim: This is the first I know of. Jim: Yeah, I don’t know of any of our churches, yeah. GT: Oh, wow. That’s interesting. I know a bishop, and I don’t know any bishop that would want to do this but if a bishop that is a literal descendant of Aaron, he does not need counselors, which when you’re administering a ward, why would you not want to have counselors? I don’t know. Jim chuckles: Yeah, he has counselors and he doesn’t want to give them up. I can appreciate that. GT: Now is that a lifetime calling too, or is that just for a period of time? Jim: We kind of look at that as a lifetime calling too, right now at this point. It’s really very new to us so we’re just kind of learning that. In our next conversation we’ll talk more about Jim’s conversion to the Remnant Church. Have you ever heard of the Remnant Church? 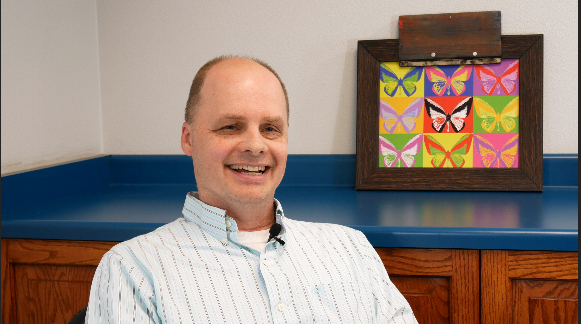 I want to thank media director Morgan Wigle for helping me arrange this interview. Do you have any questions for Jim or Morgan? This is our last conversation with David Rosenvall. In our last few episodes we’ve tried to poke holes in David’s theory of the Baja Theory of the Book of Mormon. In this episode, we’ll talk about strengths of the theory. I think one of the other things that makes Baja a little unique is this concept of being isolated. The text over and over seems to imply that they were alone. They didn’t have encounters with other people. They were always the kings. They were always fighting with their brothers. When they found the Mulekites they were so excited that they put it in their record. When they found evidence of another culture that had been wiped out, they put it in their record. So you have to have some location that seems very isolated. How do you isolate a group of people for that long that they don’t talk about anyone else? In a peninsula like Baja, even today is isolated from mainland Mexico, even with all we have, so it’s a great place for isolation. It’s a semi-arid, isolated environments are probably two of the strongest strengths that we have. We’ll talk about the narrow neck of land. There’s only one place you can actually see mainland Mexico from Baja. It’s in the area just a little bit north of halfway down here at a place called Bajia De Los Angeles where you can actually see across here. Everywhere else you can’t actually see, which is interesting because the text talks about, in this very location, the text says where the sea divides the land. We assume they could see it, so here it’s about 40 miles. Everywhere else it gets up into 60, 70, 80 miles. The only place they could have seen mainland Mexico is right where it was described, right where the narrow neck, the line of defense. We actually look at that geographically that their one location, and the only on Baja where you have a place that you can across, it’s kind of exciting. You might want to watch this episode on YouTube. 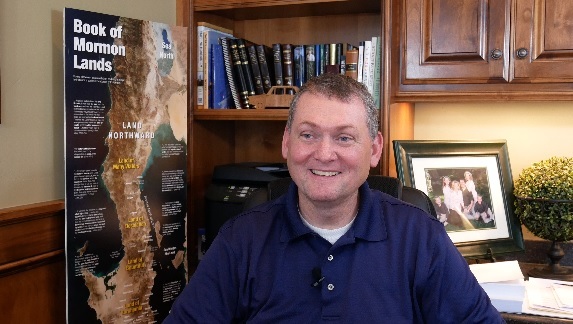 We will zoom in on his map as he talks about different geographical features of the Baja Peninsula that he thinks correlate with the Book of Mormon. (Don’t forget to check out our previous post on DNA.) I hope you check out our conversation….